Exo-Terra Water Plant floats and serves as an insect saver and gives your pet's terrarium a realistic feels. These unique life-like plants are an excellent addition to the aquatic part or water dish in the natural terrarium. 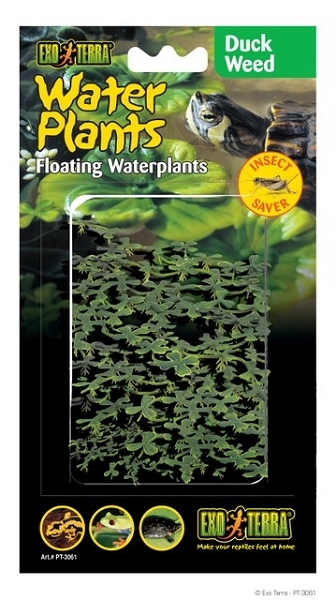 Floating water plants give certain aquatic species (like frogs, salamanders and turtles) the necessary hiding possibilities or resting areas. Adding the plants to the aquatic part of the terrarium will also prevent smaller animals and feeding insects from drowning.